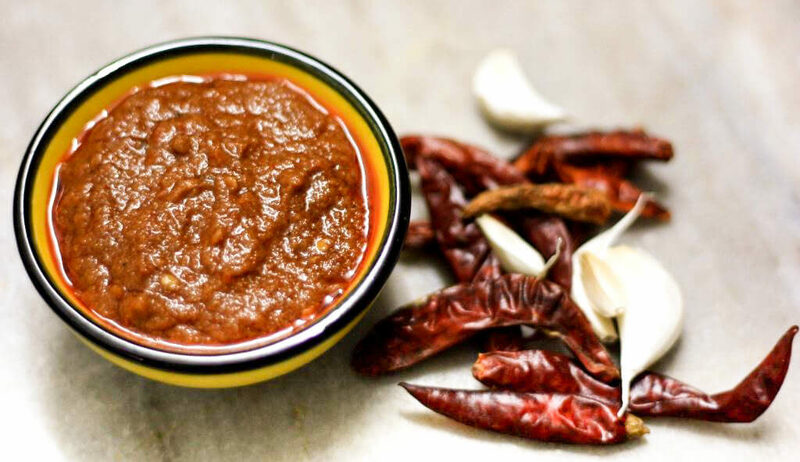 This spicy red chilli and garlic chutney recipe simply requires blending together soaked red chillies, garlic and tomatoes with a little salt and cumin powder for seasoning. With just 5 ingredients and 15 minutes to prepare, this chutney is a great accompaniment to any meal. As there is no cooking involved, the chutney retains all the good benefits of raw garlic. Since childhood, garlic chutney and green coriander-mint chutney have been staple condiments in our fridge. Every weekend mummy used to (and still does) make both chutneys for the whole week. I often add it to gravy dishes like this spinach kofta curry, in place of regular chilli and garlic, to give a deep red colour. 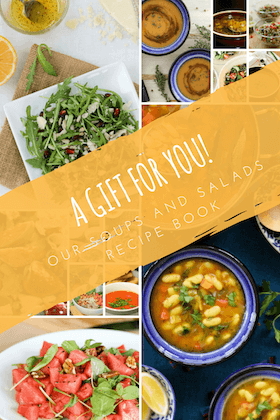 You can add it to red pasta sauces or curries or use it as a spread for wraps and sandwiches. Garlic is one of the healthiest vegetable. It has been used as a natural medicine since ancient history for curing colds, fatigue, and digestion problems. Did you know: Athletes in ancient Greece were given garlic as a performance enhancing agent! Eating raw garlic might be difficult for some people. This easy garlic chutney recipe is a great way of including raw garlic in your meals. 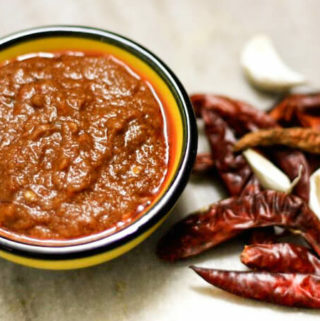 This spicy red chilli and garlic chutney is a great accompaniment with any meal. 5 ingredients and 15 minutes to prepare, this chutney recipe involves no cooking and retains all the good benefits of raw garlic. Soak dried red chillies in water for about half an hour. Drain. In a mixer, grind garlic, drained red chillies and tomato to a fine paste. Add a little water if required. Add salt and cumin powder and give it another blitz in the mixer. To increase the sourness, you can also add little lime juice. This homemade chutney stays well in refrigerator for about a week to 10 days. Shop bought garlic chutneys have a lot of vinegar and sugar added as preservatives. What is the staple chutney in your home? Did you make this chilli garlic chutney? I think you totally should, not only as an accompaniment, this chutney is a perfect pre-preparation for many curries and sauces!